“William´s” pedigree is based on successful british lines. 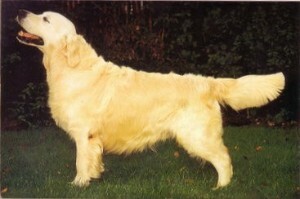 Val Birkin bred Golden Retrievers in her famous “Sansue” kennel with carefully chosen dogs according to the criteria character, healthiness and beauty. Many champions came from this kennel, one of them was “Sansue Golden Ruler”, a top awarded winner and a very important stud dog. Today Sandra Birkin continues the “Sanuse” breeding of her mother. 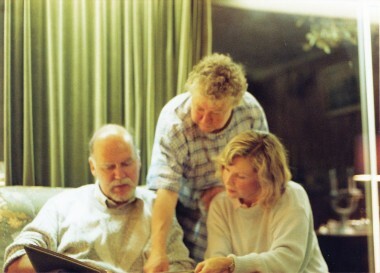 Ron and Madge Bradbury had in their kennel “Nortonwood” numerous champions, too. 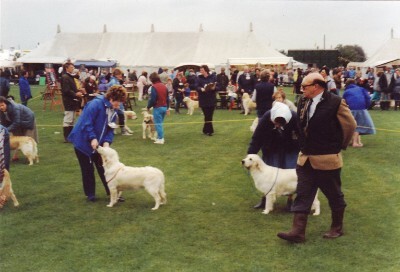 Joan Gill was very successful with her “Westley” - Goldens. At this point there will be mentioned only a few british breedes and popular judges, many successful Golden Retrievers in the whole world go back to their dogs. Peter Bungenstock has Golden Retrievers since 1966 and breeds in his kennel “Golden vom Wacholderpark” since decades doing line breeding with britisch top-quality Goldens. 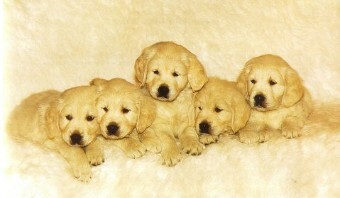 He wants to produce with carefully selected parents healthy and beautiful dogs with the typical Golden character. 1991 Val Birkin gave him “Sansue Wacholderpark Joy”, a “Sansue Golden Ruler” daughter, and 2005 he got “Sansue Wacholderpark Jule”, one of the latest puppies Val had bred. “Jule”, the mother of “William”, descends to “Ruler”, too. Our “William” was bred in the year 2009. To keep the old british lines, Peter Bungenstock had chosen for “Jule” the approved stud dog “Life is Life Hi´Lands´Hannes”, owned by Marianne Last, his father is “Sansue Hi´Land Storm” and his mother “Nortonwood Precious”, the last “Nortonwood” - Golden that came to Germany. Many thanks to Peter Bungenstock, Marianne Last and Sandra Birkin, who planned this very promising litter together! We are glad we can continue famous old british lines with “William”.